Art Pepper was a junkie, almost before being a jazzman. He spent years in jail for multiple dope busts, devolving into a borderline sociopath. Musicians, like most artists are seldom ever more than a few steps away from mental chaos anyway, so, a deep, burdensome heroin habit only exacerbated Pepper’s borderline sociopathic tendencies. Regardless, Art Pepper was an American archetype, as much a part of the 20th century's iconography as his contemporaries Chet Baker, Marlon Brando, or any street hustler, hustling a buck on a seedy urban street corner. When I was younger, I used to think that people chose who and what they wanted to be. Then, I learned after a lifetime of living and observing, no one chooses. There is this very narrow range, where human will chooses to take one road and not the other. But, for the most part, I think we surrender to our inner nature, shaped by time and circumstance, which may be nothing more than a series of biological machines and chemical and electircal impulses, directing us, telling us what to do—who we are, how to feel, who to love. So when we eventually hear the sirens call, we respond as predicted by our nature. That and generations of shared circumstance, like a ghost haunting our footsteps, waiting to be invited in. For Art Pepper, the junkie-jazz man, heroin whispered in his ear, but so did music, and he willingly—or not—invited both in. ​As a boy, Pepper said that he’d stand in the sun and it would hurt. The light caused him pain. Pepper’s mother was a cold, abusive, part-time prostitute. His father—a merchant seaman—was never there. In other words, Pepper’s life was pain. The sun was just a bystander, making it harder for a helpless boy to slip into a dark, safe place, one that didn’t really exist, except in a needle, or a saxophone. Art Pepper’s descent into heroin and criminality as an adult, was the direct result of his deep-seated sociopathy, earned thru a young life of emotional deprivation. In Pepper’s brilliant autobiography, “Straight Life,” co-written by his wife Laurie Pepper, he talked about sitting in a club, drunk and stoned out of his mind, when, suddenly, he had an epiphany about why he was a junkie—and hence, why he was a lowlife, at least, part of the time, but woke up and couldn’t remember…..“What was that epiphany? Why do I do, what I do?” Gone. Vacant from the premises, never to be heard from again. It was this unpredictable circumstance, the story of a man beyond redemption that drove me thru “Straight Life” with a frantic need for resolution dogging my every step. It never really came, though. Pepper finally went to rehab and replaced smack with methadone, found a good woman who took care of him, enabling him to play and record prolifically in the last years of his life. In fact, a still bent but unbowed, yet somewhat straighter version of Pepper, entered into his most creative phase, growing as a musician, adding elements of the avant-garde into his aesthetic palette, which he used brilliantly, even soulfully. Art Pepper was never an innovator. He wasn’t a virtuoso ala Charlie Parker, who was both an innovator and a virtuoso of the highest order. Pepper was an assimilator. A player of great feeling and taste, whose best work could be pleading and pain-filled, even cathartic. It could strut, as well, with a subtle swinging bluesy-ness. When you hear his ballad playing, there is anguish, always at the edges, but never as a practiced mannerism, making Pepper’s playing a complete artistic amalgam; intelligent, hurt, humorous, adventurous, dark, aching, these adjectives describe Pepper’s music. They also illuminate the man. If every great musician had to be Charlie Parker, jazz would’ve died generations ago, as would every other form of music. Here’s my question: if Art Pepper had been raised in a loving home, with two sane parents, would he still have become a heroin addicted jazz musician, on occasion, a brilliant one? I have no answer that would be anything more than uninformed speculation. Having said that, I’m not sure you can play like Art Pepper without a perennial and abiding hurt, a paper-thin emotional make-up, providing fervid grist for Pepper's artistry. The confusion. The yearning. The subtle virtuosity. The right but unpredictable choice of notes and sounds, are all a persistent part of Pepper’s musical language. 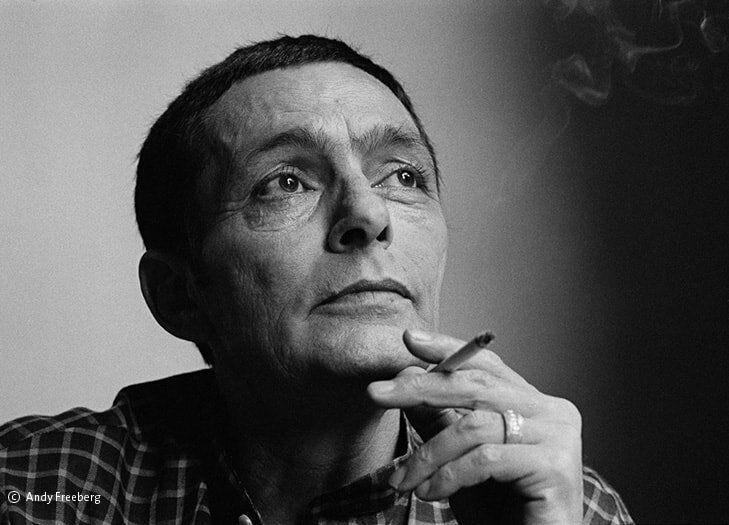 Art Pepper died of a stroke in 1982, just 2 years after “Straight Life,” his harrowing autobiography was released and made him an international jazz star. He was 56 years old. Art Pepper left behind an extensive discography, in spite of years spent in jail and rehab, with some of his very best work coming near the end of his life. A documentary film made shortly after his autobiography was published, increased his public profile, as well, thereby increasing his marketability and adding to the breadth of his legacy. Like all art forms, or, even the ability to freely think, it's impossible to separate a person’s life from their deepest most personal expression. In the case of Art Pepper, it was playing jazz with a swinging band of soulful, like-minded virtuoso's. But heroin was a relentless mistress, as well. In that sense, Art Pepper’s legend is the music, but the junkie is too, and the criminal, all three were embedded facets of his personality, drawing us into his story—as inseparable as paint is from canvas. The Straight Life. Down a long twisted road.